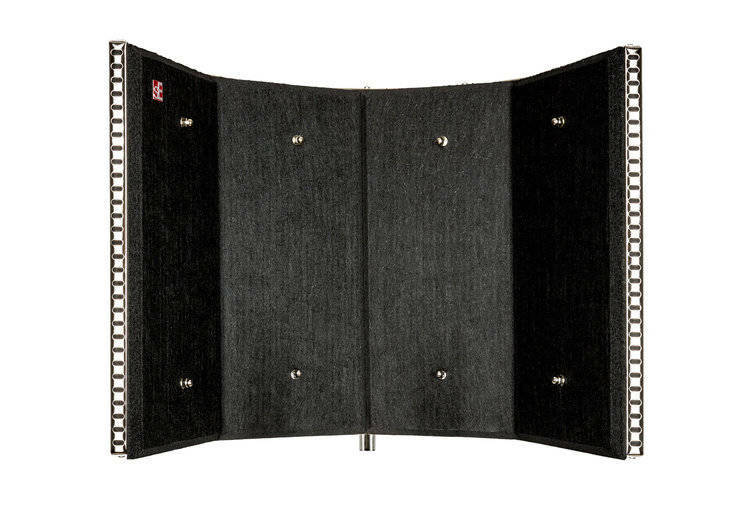 The Reflexion Filter is a portable vocal booth, a revolution in recording technology. 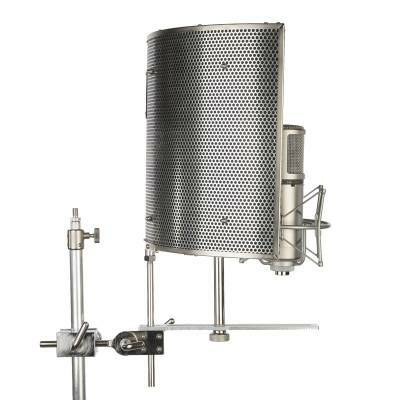 The Reflexion Filter is a portable device for recording live sources with reduced room ambience. It is an advanced composite wall which is positioned behind any microphone by means of a variable position stand clamp assembly which ships with the product. The main function is to help obtain a dry vocal or instrument recording. This is especially useful in studios without proper acoustic treatment, but can also be used to help record takes in control rooms, where the performer also has to operate the recorder, or in rehearsal studios to reduce ambient noise. The Reflexion Filter also helps prevent any reflected sound reaching the back and sides of the mic. Its shape and size have been carefully tested to maximize absorption while keeping coluoration down to only around 1dB, and leaving the microphones polar pattern unaffected. The sE Reflexion Filter is a life saver! It completely smooths every reflection in the room and keeps the voice warm. I also use it for recording guitars (both acustic and electric) and it works great. I only took half star from my analysys because I think the rack mount mechanism can use a little improvement, but besides that it?s awesome and I don?t know how to work without it nowadays! A must have for sure! I've owned this for some time now. Originally I had problems with the mounting bracket (finicky and relatively poor quality compared to the excellent filter). In the time since I bought it the mounting hardware has been upgraded. Fortunately SE offered a upgrade kit so I bought the new mounting bracket hardware and now it's fantastic! Sonically it performs perfectly in my vocal booth. The stand clamp assembly is surprisingly poorly designed. The weight of the filter and your microphone sit just to the right of your mic stand, and thus, the mic stand's center of gravity. However, if you have a heavier stand, or a stand with legs that extend out far, you won't have to worry about your mic tipping over. 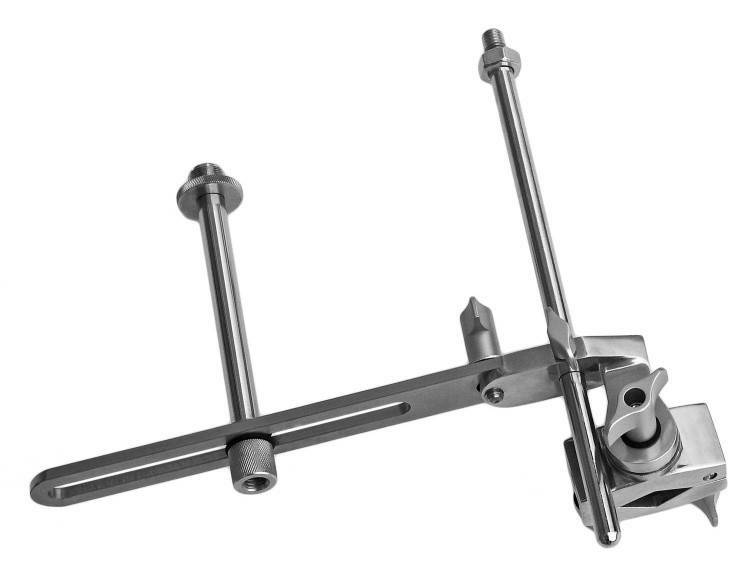 The clamp itself, while holds to the mic stand, lacks the industrial-strength "clamping power" needed to keep the filter/gear/mic from sagging to the side. Quite bothersome to deal with a crooked-looking piece of hardware when the price tag is $300. The filter itself is incredible and worth every penny. 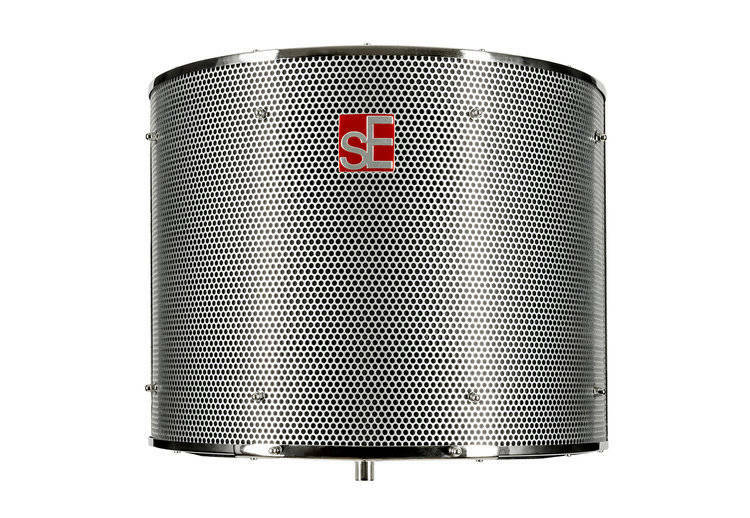 It's just very odd that SE Electronics could be so brilliant with the engineering of the filter, yet so amateur with the mounting gear. The mounting gear is also more complicated than it needs to be... something that costs $300, and works so well, shouldn't have such a crappy mount. Nevertheless, it's all about the filter, and it works wonders - vocals are so dry and clean it's almost scary.